On February 11, 2014, the County Council approved the Plan Amendment. For more information, see the County Council website under “Agendas & Packets.” The Planning Board is scheduled to adopt the approved Plan Amendment on Thursday, February 20, 2014. The full Planning Commission is scheduled to adopt the Plan Amendment on March 19, 2014. 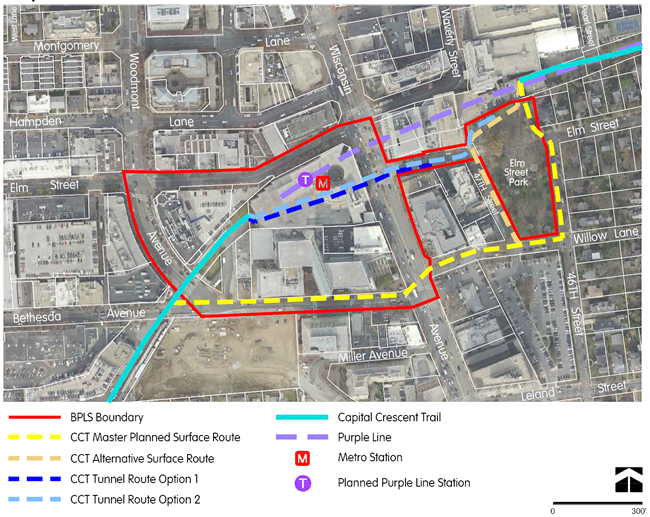 The Minor Master Plan Amendment focuses on the immediate area around the planned Purple Line station, and includes nearby Elm Street Park. Download the map [PDF] (pdf, 200KB). On December 5, 2013, the Planning Board approved the Planning Board Draft Plan Amendment [PDF](pdf, 8.2 MB). The plan was sent to the County Executive and County Council for review. For information on the Planning Board worksessions that preceded approval of the plan, click here.